Racehorse training rules for Lady Bay continue to be broken, even after an alert from the WCC. Riders are to work in a maximum of pairs, on hard sand. I got up early this morning to take some snaps down at Lady Bay for a piece on racehorse trainers breaching the rules. I didn’t expect to actually see the rules being broken, but there they were – breaking one rule after another, bold as brass, no qualms at all. 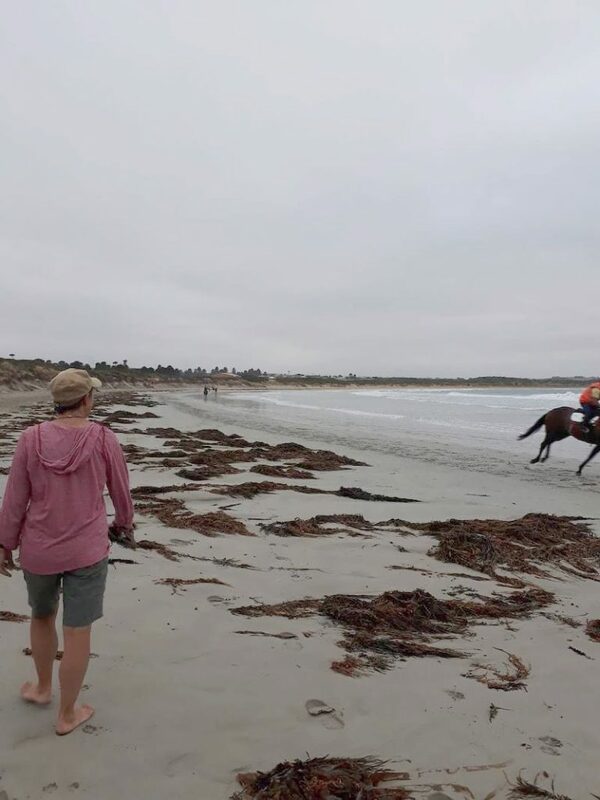 Racehorses running past people strolling on the beach. Riding in threes and sometimes fours. Running at pace in the soft sand, churning it up like butter. Horses shitting on the beach, horses shitting in the sea. Just another day at the office, it seems (#notalltrainers). A few minutes later…another cluster of four riders training in the soft sand. What is so striking about this flagrant breach of the rules today, is that the Warrnambool City Council is meeting with the Warrnambool Racing Club this week to try and sort out the multiple breaches reported by the public in the past 19 days. The busting of the rules began as soon as the training season re-opened on March 1 and frustrated members of the public started to send me (and the council) a string of photos. After asking the council two weeks ago what it planned to do about these breaches, it finally responded yesterday that a meeting was scheduled with the WRC this week. The council has also already been in contact with the club via a letter. 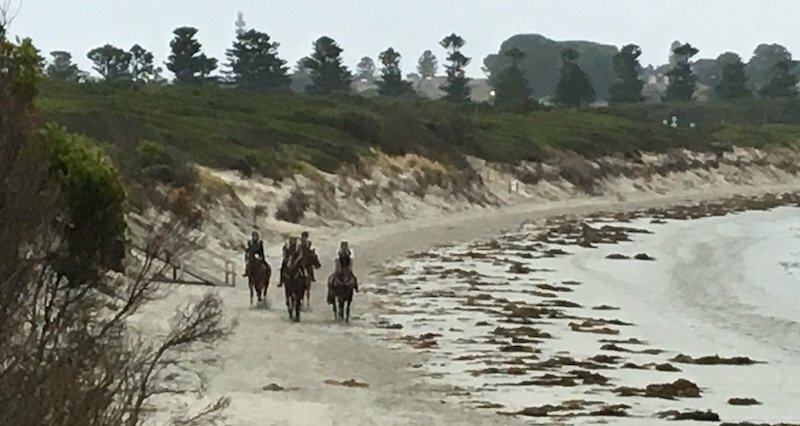 “Council is committed to ensuring that the regulations under which horse training is permitted on Lady Bay are adhered to,” the spokesman said via email. One of the numerous racehorses that cantered past beach walkers this morning. The actual rule is walking pace. Given this, I turned up this morning expecting to find model behaviour, but to find the polar opposite was eye-opening, to say the least. Either the trainers aren’t reading the rules, or they have no fear of the consequences of breaking them, in which case they aren’t remotely scared of the Warrnambool City Council. I can see why, because, to date, there have been no consequences. Let’s take the soft sand example. 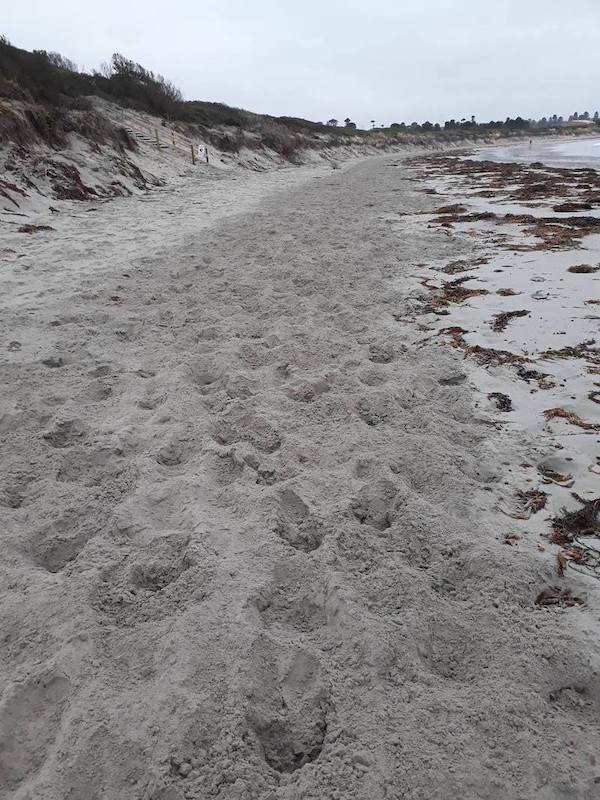 Council rule #3 includes, in bold type for emphasis, that “galloping or continual work on the soft sand is not permitted anywhere on the beach”. That sounds straight forward enough. 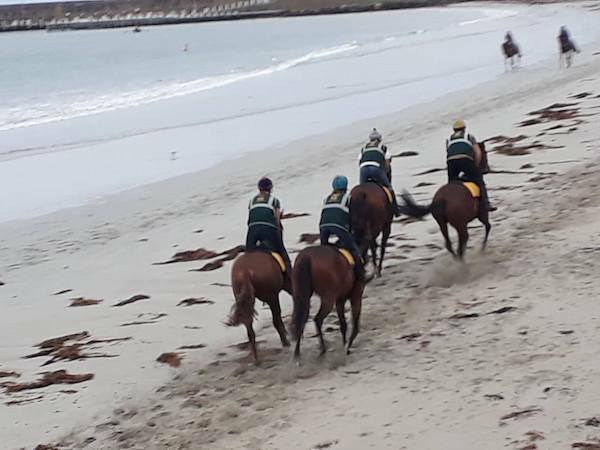 And yet, in reality, the majority of racehorses (#notalltrainers) are run down the beach toward the surf club on the wet sand, turned, and ridden back at full pelt in the soft sand: this is the common circuit and it is why the soft sand looks like a moon surface by 10am each day. That moon surface is there for all to see and yet there has been no attempt, so far, to stop it. Why not? Nothing to see here. The soft sand at Lady Bay by 8.30am, despite being off-limits to trainers. According to the council, it runs regular spot checks and the WRC employs a supervisor but both, obviously, are turning a blind eye. Why? You can only speculate that the WCC doesn’t want to ruffle the trainers’ feathers. As I have written before, if trainers (#notalltrainers) are prepared to ignore the rules in the public eye at Lady Bay, imagine what must have gone on – and will go on again from later this year – at Levy’s Beach, which is far less public? In the meantime, the beach between the breakwater and Worm Bay is a mess. What is happening to our beautiful beach at Worm Bay? Erosion, regular council bulldozing and racehorse training are all taking a toll on what was once a popular swimming beach. What was once, and not that long ago, a popular swimming and walking spot is now like an industrial zone from a combination of poor beach management, coastal erosion and a daily pounding by up to 96 racehorses for nine months of the year. 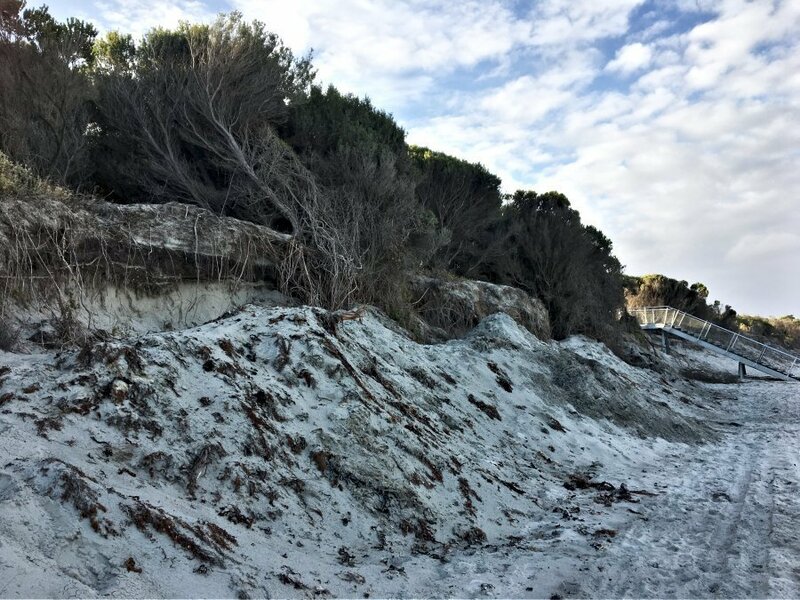 There is a huge wall of dirty grey sand pushed up by council bulldozers in what passes for beach cleaning and the erosion is now so bad that the ti-tree roots clinging to this wall of sand are fully exposed. The breakwater and Worm Bay area in 2011. Note the yellow sand and much lower dune wall. Not far from where this boat has landed is now significant erosion. 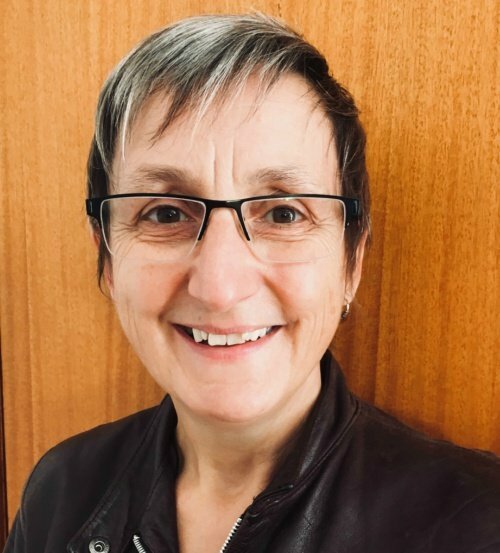 Image: Lisa Gervasoni, Trove. The same stretch of beach today where the dune wall is suffering significant erosion. 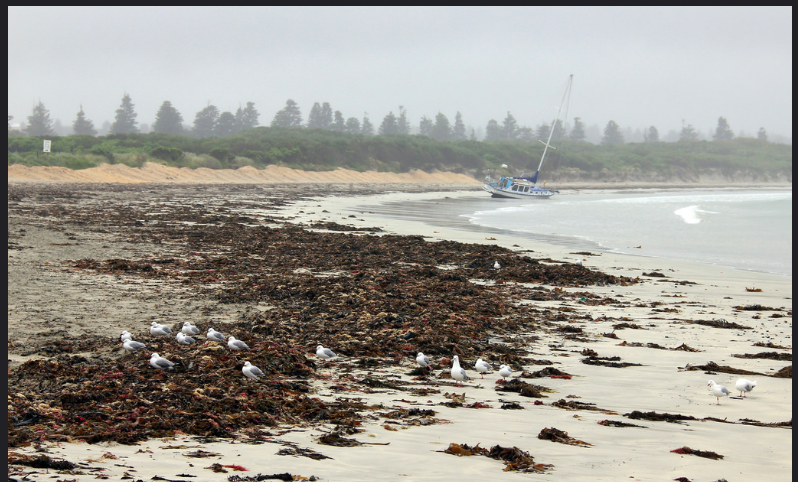 I found a photo of this area that was taken in 2011 by former Warrnambool resident Lisa Gervasoni and it showed yellow sand and a much lower dune ‘wall’ (see above). 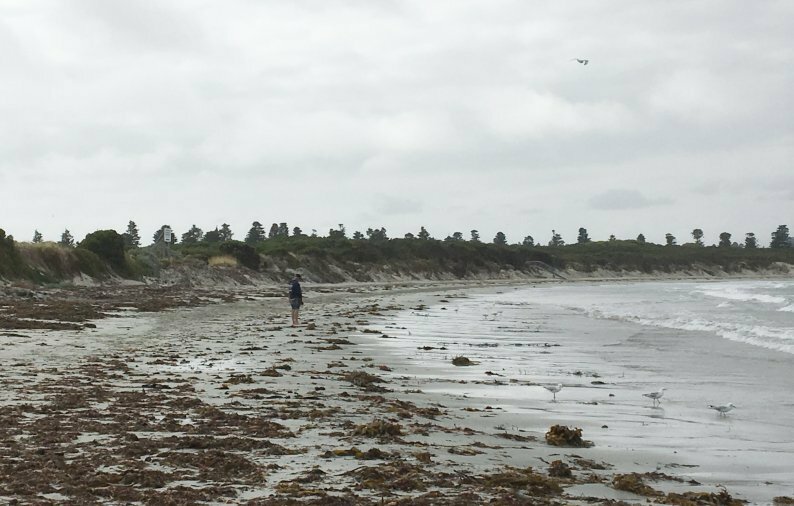 Just eight years on, the same stretch of beach is scoured and suffering. We won’t even talk about what a paradise it looked like in the 1960s. I wonder what it will look like in another five years? That is the bigger picture, but for now the focus is on whether the WCC is prepared to flex some muscle to bring errant trainers into line (#notalltrainers) and remind them that access to a public beach is a rare privilege. monitoring themselves (utterly useless). The horse riders, like the trainers are arrogant and show absolute contempt for the public and for the rules that they are supposed to be following. WCC are not behaving responsibly and ethically in allowing this to take place. Hopefully the new CEO might stand up and stop this publicly dangerous and environmentally damaging activity from continuing.